Are you tired of the casual window cleaners on the Wirral who only clean your windows when they feel like it? Relied on the unreliable only to be let down AGAIN. Talk to Wirral Window Cleaning today, and get the window cleaning service you deserve. Our window cleaners are friendly and reliable, as well as having a wealth of experience. The cleaning we provide is of the highest quality, along with giving you the best value for money. If you require a trustworthy window cleaner Wirral for your home, shop or office please call 07711832947 to discuss your requirements. Please browse through our testimonials page to find out what our other clients thought about Wirral Window Cleaning. We are always pleased to receive new testimonials. They provides us with valuable feedback and it helps us to make sure you are getting the level of service you require. We understand that it’s not easy finding a trustworthy & reliable window cleaner Wirral. We strive to be the best window cleaners Wirral, and your feedback will go towards helping new clients to decide what is right for them. Our company also provides conservatory roof cleaning Wirral and surrounding areas. We use pure water and the water fed pole system to clean conservatory roofs and UPVC frames and Glass. The use of pure water in most cases eliminates the need for using any other cleaning products. In Some cases it may be unavoidable not to use any cleaning products. 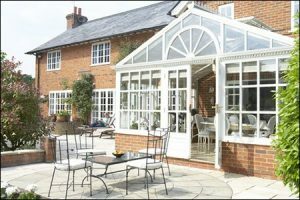 Some conservatories are densely covered with green algae, mould and other debris and will require the use of specialised cleaning products specifically for cleaning uPVC. Using any products is usually a last resort as we will always use the most environmentally friendly method of cleaning your conservatory roof & windows whenever possible. • 24/7 customer care – you can make appointments, amend appointments or reschedule whenever you like via phone, text or email. • Save Money – cost effective cleaning services by combining conservatory cleaning or gutter cleaning at the same time as having your property’s windows cleaned. • All areas covered – we are able to provide our window cleaning services anywhere on the Wirral. Take a look at the areas we cover. To book an appointment all you have to do is call 07711832947 and we will ask you a few questions regarding the property you would to be cleaned. There’s also our contact form which will ask you a several questions. The answers to the questions will help us to give you a more accurate quotation. We provide free quotations with no obligation. At Wirral Window Cleaning we understand that maintaining a clean exterior of your home or business is not a 9-5 job either, so you can connect with us any time. As a professional window cleaner Wirral, our company provides commercial and domestic window cleaning services throughout Wirral. Areas include Heswall, Prenton, Caldy, Spital, West Kirby, Willaston, Birkenhead and all surrounding areas. Any other information you would like to add.